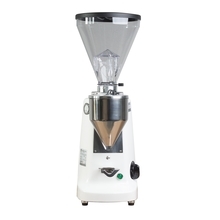 Mazzer Super Jolly Electronic is a grinder perfect for cafés and restaurants of average needs or demanding home baristas. 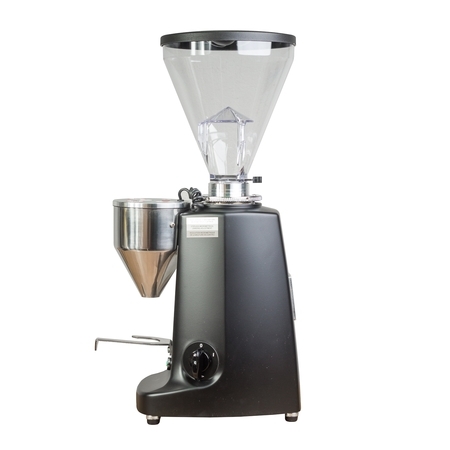 In comparison to Mini model, Super Jolly is larger, has different scope of coffee portions, it has been equipped in a stronger motor, larger hooper, and the set also contains an aluminium tamper. 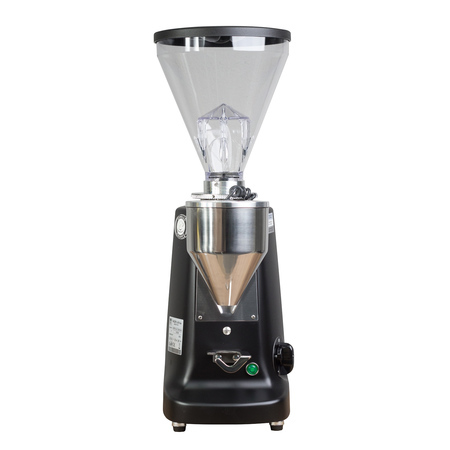 It is a on-demand grinder which means that each portion of coffee is ground on demand directly to the portafilter; thanks to that we are sure of getting even portions of coffee freshly ground before brewing. The grinder has been amazingly designed. The Mazzer grinders stand out from the competition thanks to its sensational forms and solid constructions made of one piece of aluminium. 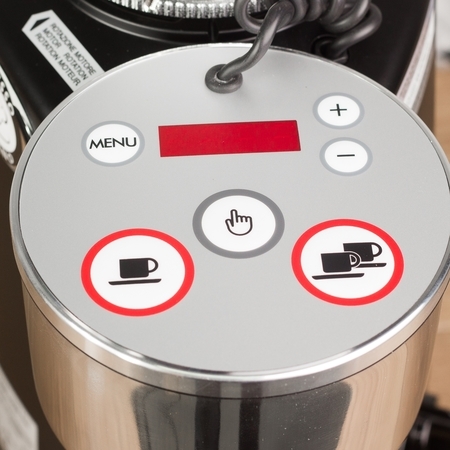 Super Jolly Electronic is equipped in a control panel with a shot counter and separate dosing buttons for single of double portion of coffee, which can be programmed. It also includes separate manual grinding button and a button for adjusting a dose of ground coffee. The fineness is easily adjusted using a ring around a hopper. That allows you adjusting grinding to your preferences, both for espresso and alternative methods. Flat grinding discs are made of hardened Swedish steel, valued for its incredible durability. They are easy to clean and reset after maintenance. The grinder ensures quick grinding with low level of generating heat. The hopper of 1.2 kg capacity may be detached without the need of removing beans. Additionally, the set contains an aluminium tamper together with a support. A steel tray is also included in the set.